On Hwy 149 in Houston County near the Stewart County Line. You are standing inside a meteorite impact crater. This is an EarthCache. An Earthcache is an educational form of a virtual cache. The reward for these caches is learning more about the planet on which we live - its landscapes, its geology or the minerals and fossils that are found there. Earthcaches are developed in association with the Geological Society of America. Between 100 and 200 million years ago, a large meteorite struck earth around present-day Cumberland City in Central Tennessee. A meteor near 1000 feet in diameter, weighing in excess of 100 million tons and traveling at 10 miles per second (36,000 mph) struck the earth at this location with a shattering impact. Scientists believe it penetrated to a depth of around 2000 feet below the surface and exploded with the force of a 1000-megaton bomb. Shock waves raced in all directions,( Producing Shatter Cones, see source below), and a fiery, mushroom cloud of fine rock dust and debris rose high in the air. The impact created a crater some 14.0-km (7.0-miles) in diameter, and one-half mile in depth. Scientist believed the earth's surface appeared to be damaged forever. Millions of years passed and erosion and vegetation softened this ugly scar left by the impact. The rim of shattered rock disappeared, and the level of adjoining land was lowered hundreds of feet by erosion. Since its discovery, geologists have studied this phenomenon. This crater is now known as the Wells Creek Basin. TENNESSEE METEOR CRATERS There are three meteor craters located in Tennessee. The 3 mile Flynn Creek Structure is northwest of Cookeville, TN. It is rather distorted due to mountain building in East Tennessee. 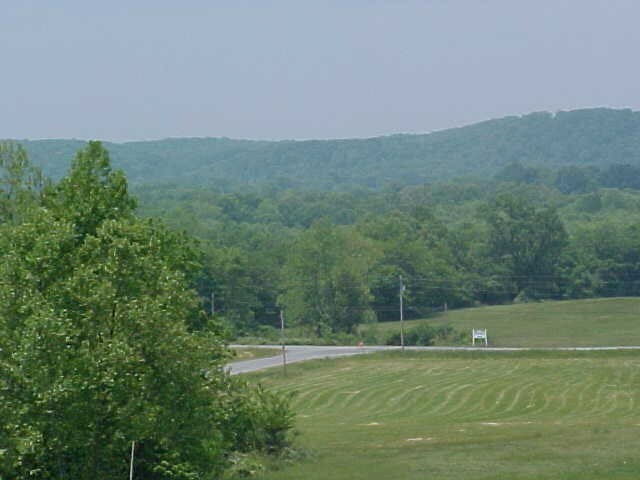 The Howell Structure is nearly circular about one mile in diameter and is located in Middle Tennessee north of Fayetteville at Howell. The biggest and best is located west of Clarksville at Cumberland City. An elliptical formation about 10 miles in diameter. It is know as the Wells Creek Basin. Wells Creek and the Cumberland River join at the north wall of the crater. These structures are remnants of the original as nearly a 1000 ft of material may have been eroded away over 200,000,000 year period. 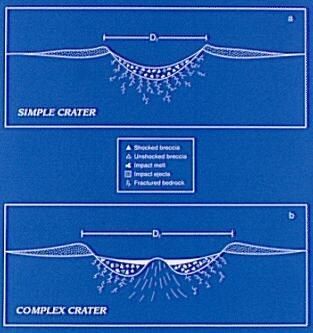 Therefore the original craters were larger and the actual age of each is hard to fix. 1. When was the meteorite site discovered? 2. What were the circumstances of the discovery? 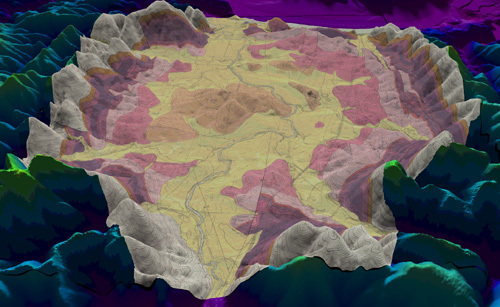 Geology on a Digital elevation model. View from south to north. Geology of central uplift is: Orange peak, yellow and dark pink areas at center are Lower to middle Ordovician Limestone. This material was thrust upwards a distance as much as 800m+/-. Light Pink through to orange are Silurian, Devonian and Mississippian strata. 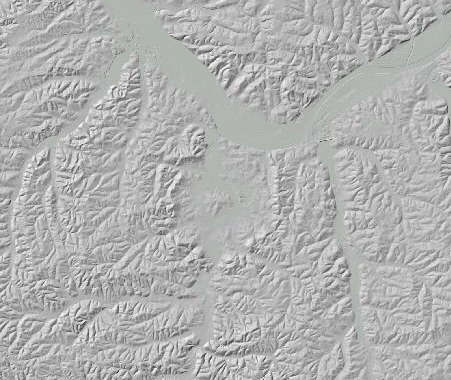 Middle Ordovician Strata and above are flanking a ring structure (seen as a topographinc high).